I cannot believe it’s officially December! Ahh! Before we know it, it’ll be Christmas! S and I were just talking about our holiday plans with my dad. We’ll be heading home to Maine. His friends are hosting a few holiday parties that we may join in on! 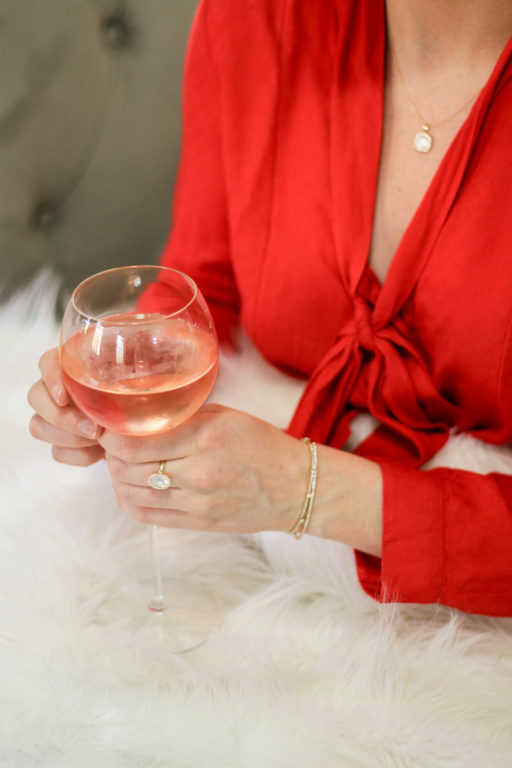 Talking about hosting, you all seemed to love my Holiday Gift Guide for the Hostess, so I wanted to share quick gifts under $50 that you can grab basically on the way to any Christmas or Holiday party you have this season! To make fab drinks, you need a mixer! You can stop by any Anthropologie, Crate and Barrel, Target or West Elm and find a super cute one. I love this one! 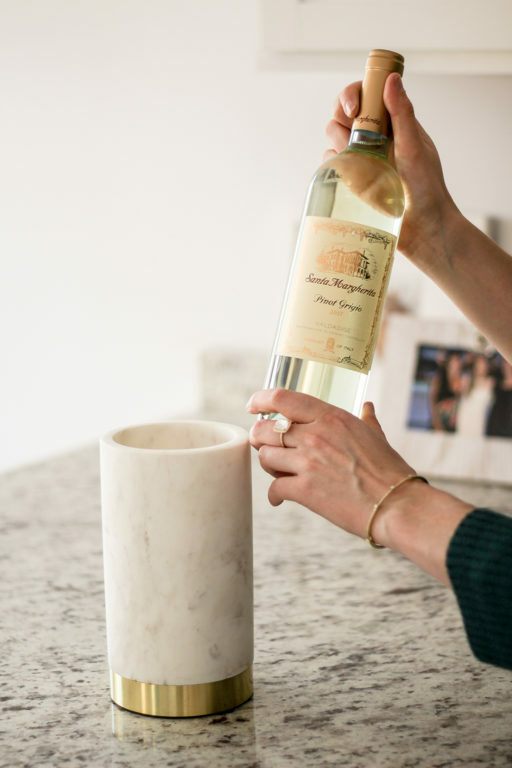 Grab some rose and store it in a marble cooler like this. Not only is it functional, but also super chic. 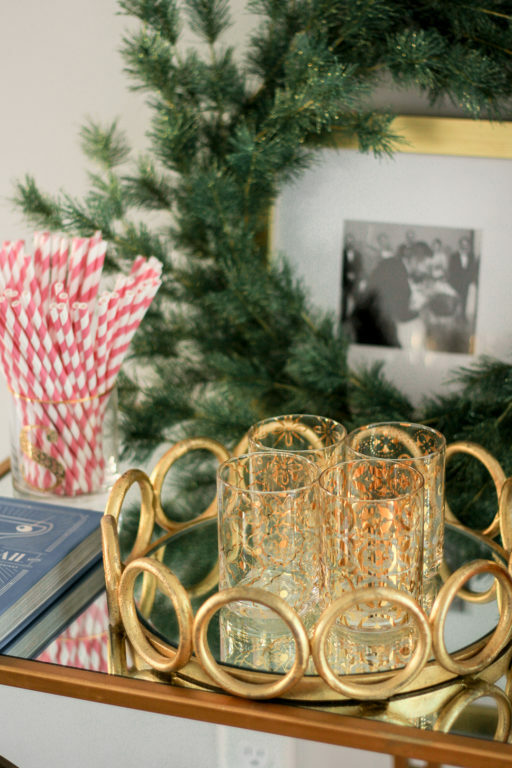 HomeGoods and HomeSense always have the cutest serving trays for such an affordable price! This gold mirrored one is a score made by S at HomeGoods a few years ago. Every time we go in, we find such cute ones! 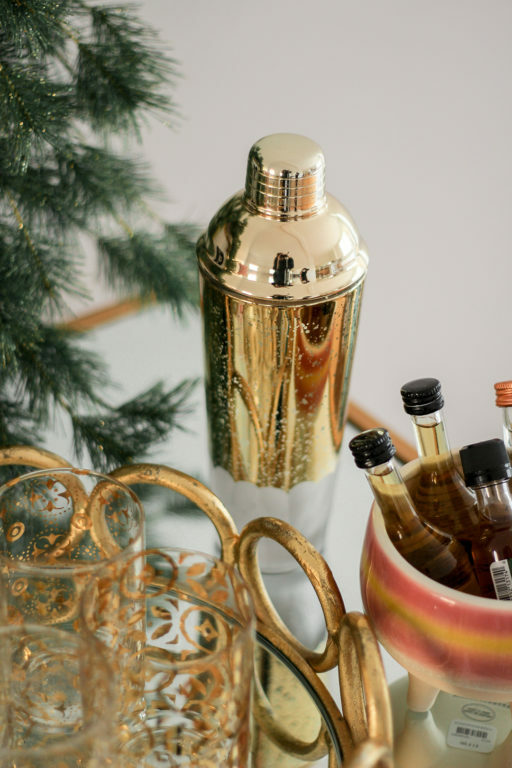 Your girlfriend can house this on her bar cart, use it to serve drinks at a holiday party or set it on a coffee table with a candle! Having new recipes for drinks or meals is such a treat. Anthropologie has so many options and there are a lot for under $20! I am loving this one. While the wine glass I’m holding is from our wedding China, I have a wicked cute stemless set from my girlfriend Jaime. One says meow, the other has a cat on it. They are so cute! Nordstrom always has such cheeky options. 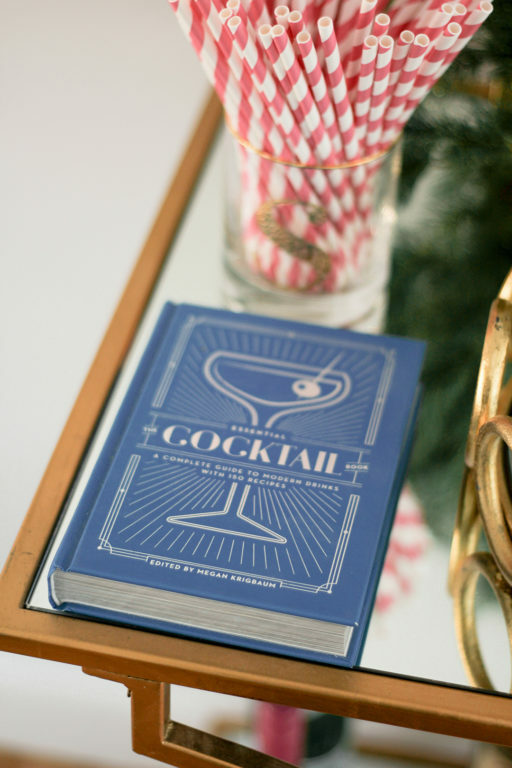 Hope this blog post gives you some ideas on quick hostess gifts to grab on the go! PS – How gorgeous are the necklaces, bracelet and earrings in today’s post? EB Horn is a local Boston-based jewelers that has such stunning pieces. Since so many local girls read along here, I wanted to share! 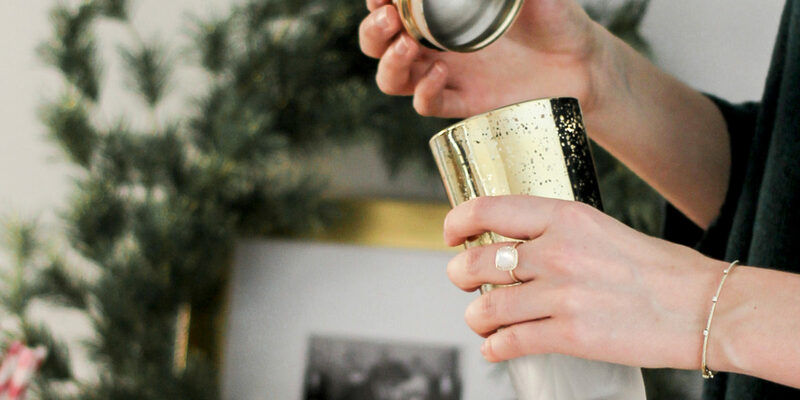 From engagement rings to cocktail rings or diamond tennis bracelets, they have something any girl would love. Thank you to EB Horn for sponsoring today’s post.